James D. Kendall, 80, of Le Mars, died Friday, Nov. 21, 2014, at Plymouth Manor Care Center in Le Mars. James Dean Kendall was born Aug. 9, 1934, on the family farm near Guthrie Center, to Donald and Gertrude (Safely) Kendall. He attended country school near his home and later high school in Guthrie Center and Jefferson. On Feb. 5, 1954, Jim was inducted into the United States Air Force. While in the service, Jim and Evelyn Zastera were united in marriage at Fremont, Neb. Jim proudly served during the Korean War and earned his honorable discharge on Oct. 16, 1957. Jim and Evelyn moved to San Diego, Calif., where Jim began a lifelong career in the telephone business with Pacific Bell. They transferred to Fremont, Neb., with Northwestern Bell. While Jim worked at Northwestern Bell, the family lived in many locations throughout Nebraska. Also while working, he earned an associate degree from the University of Nebraska at Omaha in 1974. He semi-retired in 1990 and they moved to Le Mars. Jim’s final position as an engineer was with West Iowa Telephone (now WesTel) in Remsen. Jim was an active member of the Presbyterian United Church of Christ in Le Mars. He ushered, served as elder and deacon, chaired the property and maintenance commission and was instrumental in implementing a new sound and video system. Jim participated in a mission trip to Haiti with Living Waters. He was also a member of Kiwanis and served as president and lieutenant governor while a member. 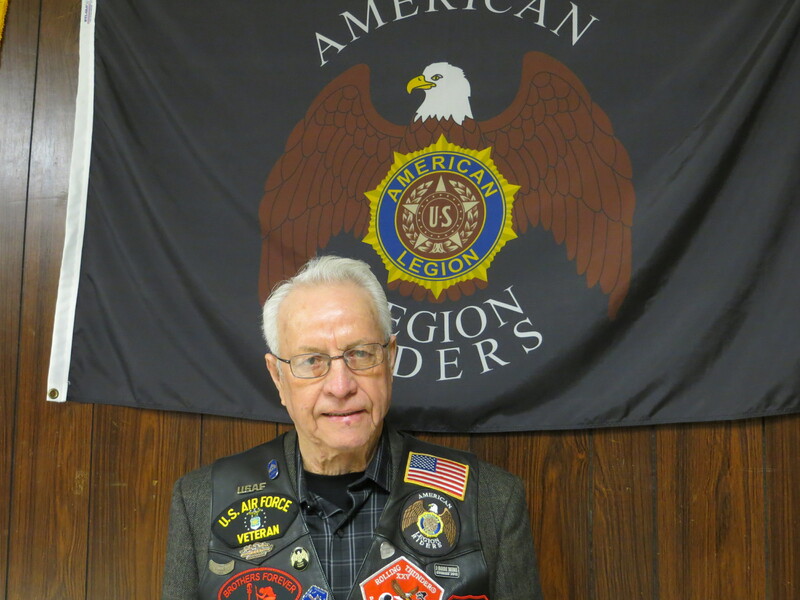 He was a proud member of Wasmer Post #241 of the American Legion and the Legion Riders. Jim was also an avid car and motorcycle enthusiast. He had served as president of the Shelby Owner’s Club in Denver and was president of the Harley Owners Group. Jim was very proud of his membership in the B-47 Association and the 98th Bomb Wing Association. Jim will be lovingly remembered by his wife of 59 years, Evelyn, of Le Mars; a sons, Patrick and his wife Sheila, of Papillion, Neb., and Todd and his wife Natasha, of Mobile, Ala.; a daughter, Teresa Hazen and her husband Lonnie, of Wellfleet, Neb. ; and grandchildren, Rachel and Ryan Kendall, Lindsey and Tyler Kendall, Jesse Seth Hazen, five great-grandchildren, Jessie Jr., Kami, Josiah, Talicia and Kalina; and several nieces and nephews. He was preceded in death by his parents; a sister Harriet Butler; brother, Ronald; brothers-in-law, Marvin Zastera and Richard Butler.